The Shape of this 15.2-in Prosperplast ATENA TALL Urn planter brings to mind antiquity and the primary values of that era, such as beauty, harmony and perfection. It will give a unique, truly royal character to any yard, deck or patio. 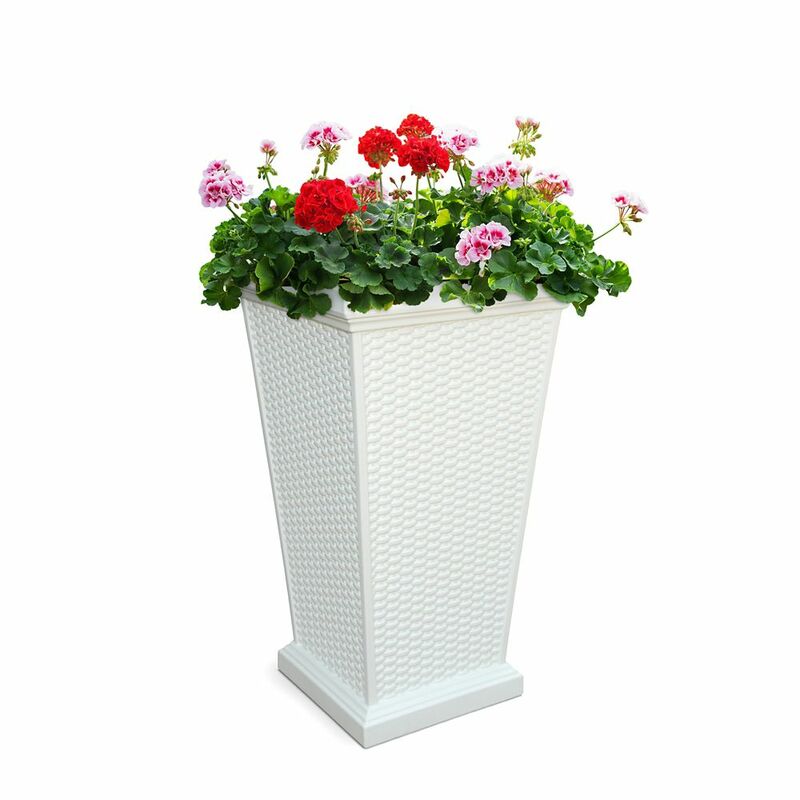 The pots are made of High Quality Polypropylene, are very durable and UV resistant, which guarantees unchanged colour and shape for a long time. 3-Tier Cascading Planter saves space and promotes productive, pain-free gardening. More space for gardening, without taking up more space. That's the beauty and intelligence of this 3-Tier Cascading Planter. It's versatility and sturdiness, make it perfect for patio and balcony gardening. Plus, it's a colourful way to display your plants. And because it's elevated, you reduce hand and knee gardening so that all your effort goes into planting. With a sloped top and grooved texture, the Modesto collection offers a bold twist to a contemporary design that truly captures the elusive flair of European styling. It's hard to believe such beauty and elegance can be found in a form that appears so simple and uncontrived. Make a statement with this highly functional and attractive planter.